Singer of the moment Walukagga Shafik popularly known as Fik Fameica is in hot soup after being sued for song theft. 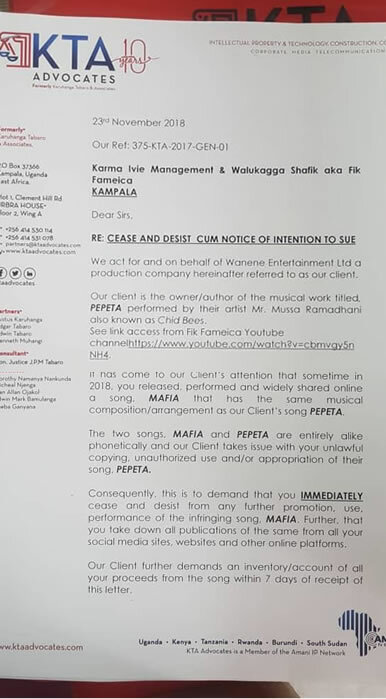 The ‘My Property’ hit maker has been sued by Tanzania rapper Mussa Ramadhani a.k.a Chin Bees, accusing him of duplicating his ‘Pepeta’ song into ‘Mafia’. 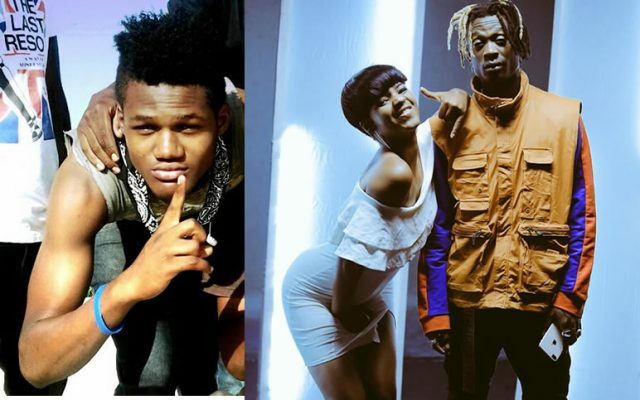 According to the letter dated November 23 and issued by KTA Advocates and addressed to the Starbuoy and his manager Karma Ivan, it has come to their notice that Fik Fameica released a song titled ‘Mafia’ some time around 2018 that bears the same musical composition and arrangement as their client’s music piece dubbed ‘Pepeta’. 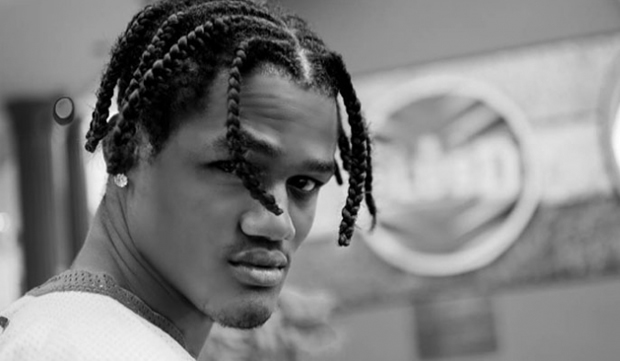 Chin Bees claims that the two songs are entirely alike phonetically and their client takes issue with Fameica’s unlawful copying and unauthorized use of the song and he has been ordered to immediately cease and desist from further promotion and performance of the song. The ‘Tonsukuma’ star who is representing Uganda in Coke Studio this year also has to take down all publications of the song from his social media and online platforms alongside submitting an inventory of all the proceeds he has so far accumulated from the song. 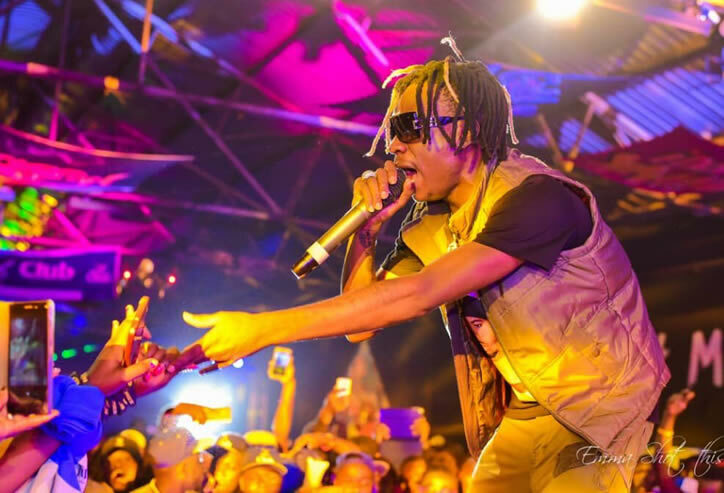 Meanwhile, by the time we published this article, Fik Fameica and his management had not yet respond to the words in the letter. Is Rapper Fik Fameica Joining TNS?